ENK is the utility token of the “Enkronos Apps” Platform used in all transactions related to distributed credits on the Enkronos Apps Platform. 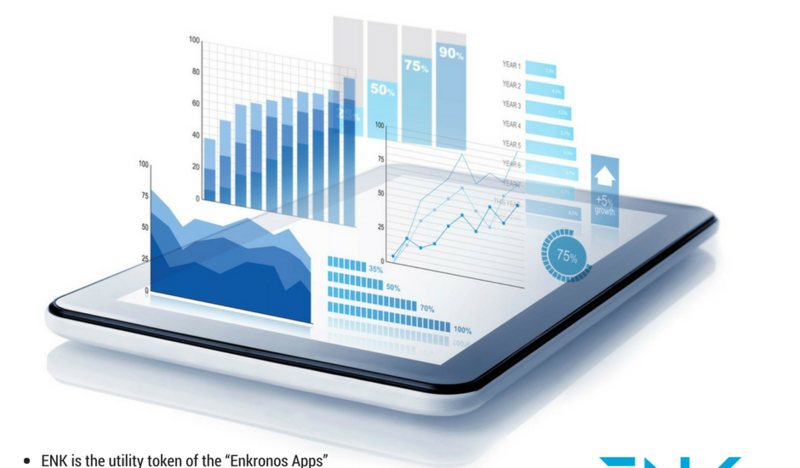 ENK will be the only way to use “Enkronos Apps” Platform and any of its applications inside available. Its value will be directly expression of the value of the entire platform and applications. ENK do not qualify as securities since their sole purpose is to confer digital access rights to our multi-application ecosystem. ENK doesn’t function in any way, solely or partially, as an investment in economic terms. ENK do not even qualify as a means of payment and is not intended to be used as such. On these fundamental assumptions of ENK tokens, then, in accordance both with the slovenian law and also the doctrine that is going to be established at many levels in different countries and jurisdictions, such as the ICO guidelines recently published by the Swiss Financial Market Supervisory Authority FINMA, there is no need at this stage to apply the procedures known as “Know Your Client” (KYC) and “Anti Money Laundering” (AML) to any person or entity interested in buying ENK during our “Token Generation Event – Initial Coin Offering” (TGE). Anyhow, since the legal framework is still in development and any change can happen anytime, Enkronos is already prepared to introduce in any time the necessity of apply KYC – AML procedures if in future it could be possible that, independently from the Enkronos will and plans, ENK tokens could assume value depending on transactions that could happen outside “Enkronos Apps”, or that could be interpreted as payment tokens, cryptocurrency, or asset token and hence interpreted as a securities in jurisdictions related to Enkronos activities. In that case, KYC and AML procedures will be conducted by a primary reputable Company that offer this service in an better integrable procedure, better if through API. In that case, the KYC-AML provider will be announced on TGE web site ico.enkronos.com. From a legal point of view, in preparing the ICO, Enkronos has been assisted and advised by its Legal Department, its Legal Counsellors and the Legal Department of a primary Business Consulting Company.